If you are unable to work due to a physical or mental condition, you may be entitled to Social Security Disability (SSD) or Supplemental Security Income (SSI) benefits. Unfortunately, the process of obtaining SSD or SSI can be lengthy and complex. The Social Security Administration (SSA) allows applicants to have a representative assist them with the process. Injury attorney Valerie J. Crown regularly represents Social Security claimants in Rockland County and elsewhere in Greater New York. With our three decades of experience, the Law Firm of Valerie J. Crown can help you as you go through the process of pursuing the benefits to which you are legally entitled. Our small size allows us to provide each of our clients with individualized attention throughout a case. Valerie J. Crown is always available through her cell phone, and your call will go straight to her without an automated message or answering service. While SSD and SSI are similar in that they are both federal government programs and can provide much-needed financial relief to recipients, there are several differences. SSD is funded through employment taxes and is paid to eligible claimants based upon the former earnings of the disabled worker. The SSI program is funded through general taxes and serves the needy. Eligibility for SSI is dependent upon a claimant having limited income and resources. There are certain requirements that must be met before a claimant can receive SSD payments. First of all, the individual must have a work history that includes jobs covered by Social Security. Eligibility is determined by the number of credits that a claimant has earned through his or her past employment. Both the length of the employment and its recency are taken into consideration in calculating credits. The age of the claimant is also part of the equation, with fewer credits being required of younger workers in some instances. Another requirement for SSD is that the claimant be disabled. This is defined by the Social Security Administration as being both unable to perform the work that a claimant did before and unable to adjust to other work due to a medical condition. There is also a requirement that the disability last at least one year or, if it lasts for a shorter duration, end in death. With regard to a claimant’s disability, the condition that is complained of must be one that interferes with basic job-related activities. It must also either be on the Social Security Administration’s list of disabling conditions or be found by the administration to be of equal severity to a medical condition that is on the list. Examples of conditions that may result in a finding of disability include herniated discs, arthritis, depression, post-traumatic stress disorder, cancer, thyroid disease, diabetes, multiple scleroses, fibromyalgia, asbestosis, and emphysema. There are a few other, limited circumstances in which benefits may be granted to those who do not qualify for SSD under the regular rules. This may include applicants who are blind or have low vision, those applying on behalf of a disabled child, and the widow or widower of a qualifying worker. The first step to getting SSD or SSI benefits is filling out an application. This can be done in a claimant’s local Social Security Administration office, or it can be done online. The administration will make a determination as to eligibility, usually within a few months. If the claimant’s application for benefits is denied, he or she can ask for reconsideration. If the answer is again in the negative, the next step is to ask for a hearing in front of an administrative law judge. A negative decision from an administrative law judge is appealable to the Social Security Administration Appeals Council, with the next step being the federal courts. Representation at appeals hearings at various levels, including oral examination of witnesses and statements to the hearing officer or judge. If you believe that you are entitled to SSD or SSI benefits, the Law Firm of Valerie J. Crown is here to assist you. Regardless of whether you are applying for benefits for the first time or have already applied and been denied, we have the experience, dedication, and accessibility to help you rest easier, knowing that your case is being handled with the utmost professionalism. We can also assist people in Orange County, Rockland County, and beyond with worker’s compensation and other personal injury cases. To schedule a free consultation with a lawyer, call us at 845.708.5900. We handle cases throughout New York State. We have assisted many SSD clients who now have the benefits and financial security they deserve. Even if a previous application has been denied, you may be eligible to appeal with the right representation. 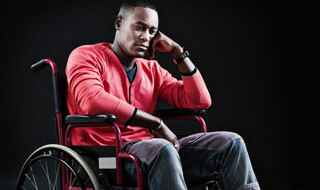 social security disability attorney Rockland County NY.